This Ongoing War: A Blog: 11-Aug-14: Shalit Transaction revisited: At what point does facing up to the cost of a disastrous decision become unavoidable? 11-Aug-14: Shalit Transaction revisited: At what point does facing up to the cost of a disastrous decision become unavoidable? In a deeply disturbing, but important, expose by Avi Issacharoff, Times of Israel reports in the past two hours that one of those 1,027 convicted and unrepentant terrorists released from an Israeli prison cell in the context of the Gilad Shalit Transaction in October 2011 turns out to have been the central figure in the tragic hostage-taking and killing that outraged Israel two months ago. 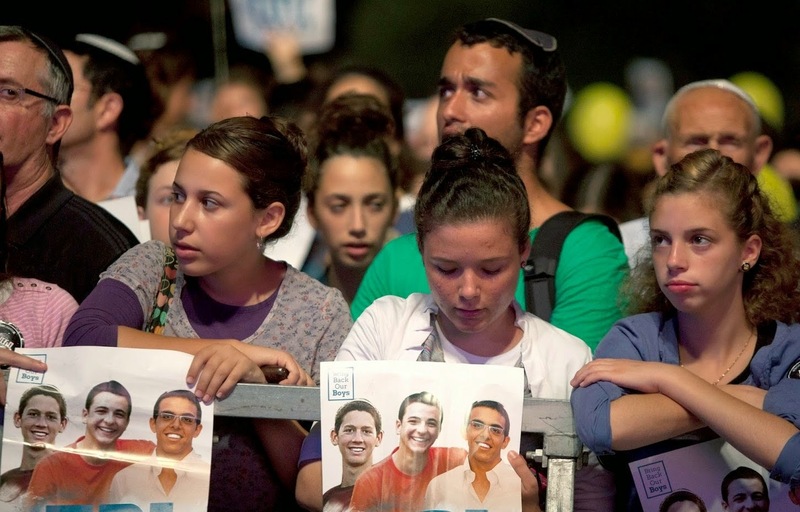 In the course of that terror attack, three young Israeli yeshiva students were snatched and shortly afterwards murdered in cold blood: Naftali Fraenkel, 16, from Nof Ayalon; Gilad Sha'er, 16, from Talmon; and Eyal Yifrach, 19, from Elad. 17-Apr-12: Turns out the terrorists freed for Shalit are still doing terrorism. Who would have thought it? among numerous others (click here for more). On the basis of Palestinian Arab security sources and the Times of Israel report, we now know that Mahmoud Ali Kawasme is one of the Shalit 1,027. 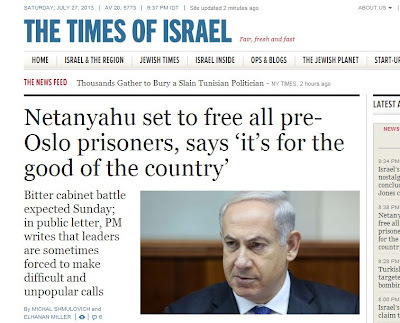 His release, like that of every other terrorist freed in that deal at the time, was the result of a monumentally successful act of extortion directed against the Government of Israel. His freedom was conditional on his being "exiled" to the Gaza Strip, and to his refraining from further involvement in terrorism. It now appears he became deeply enmeshed in the Hamas terrorist organization after walking from prison, and eventually took the role of funder and planner of the attack in which three Israeli teens unwittingly accepted a night-time ride in a vehicle in which Palestinian Arab terrorists masqueraded as Jews at one of the roadside stops in the Jewish community of Gush Etzion. His ties to the attack and to Hamas will likely further implicate the terror group in the killings. Israel has alleged Hamas involvement, though Hamas’s leadership has denied any connection to the scheme... Mahmoud Kawasme’s brother, Hussam, was recently arrested by the Shin Bet and the police anti-terror unit near Jerusalem. Hussam Kawasme admitted during his interrogation that he was the commander of the two kidnappers, Marwan Kawasme and Omar Abu Aysha. All four live in the same area of Hebron. The latter two are from the Haris neighborhood, while the families of Hussam and Mahmoud live in the nearby Wadi Abu Ktayla neighborhood in the northwestern part of the city... Senior members of Hamas’s military wing were aware of [Mahmoud Kawasme’s] plan, and gave him money to fund the attack. The kidnappers needed vehicles, Israeli license plates, weapons, and safe houses. Last word: readers wanting to understand how those of us directly impacted by Hamas terror feel our government ought to act might consider this post of ours: 27-Jul-13: To defeat the terrorists, what one thing must a government never do?